Since the beginning of time, people have been cooking with fire. And today, many are fascinated with the whole process of gathering wood and starting fires. There’s just something about the flames and the warmth of the fire that draws us in. In every culture around the world, you can still find signs of early wood fire cooking through relics and symbols. With ilFornino wood fired cooking, we transport you to another time with this primitive form of cooking. But, we elevate wood fired cooking to the next level. You’ll find that using ilFornino ovens is a great experience. They are easy to start and maintain the fires and you’ll be cooking like a pro in no time! The aroma wafting from the burning wood is amazing. And since you’re using fewer oils and fat to cook your food, wood fired cooking proves to be healthier in many ways. Not only will the high heat pizza oven preserve the nutrients, but it will produce a delicious flavor that is hard to match. Of course, we’re not just talking pizza here. 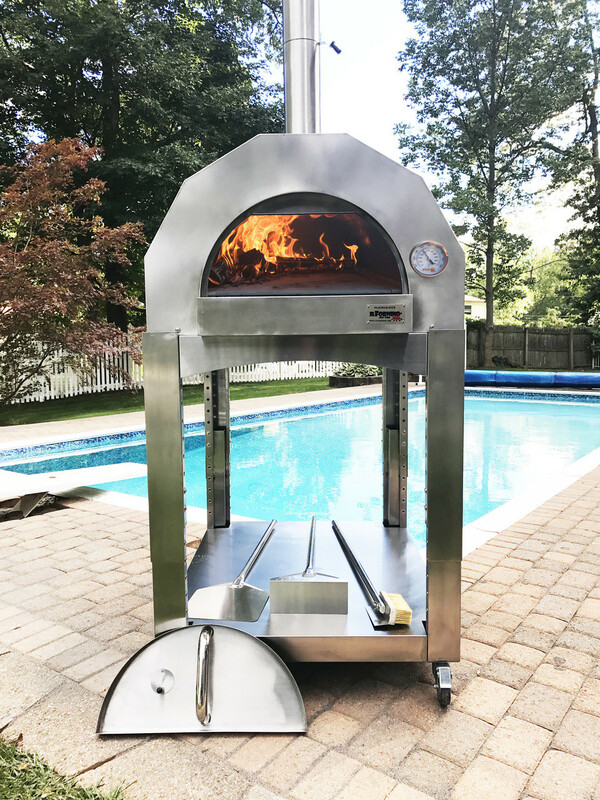 The ilFornino wood fired ovens are the perfect choice for baking potatoes and grilling vegetables like yucca, eggplant, onions, and zucchini! And then there are the meats – wood fired steaks, pork chops, chicken, and fish – oh my! The flavor is out of this world! Or maybe it’s just a journey back into the old world. Learning how to use your wood fired pizza oven takes a little bit of trial and error, but once you master it, there’s no going back. Unlike the oven in your kitchen, the ilFornino oven does not have any dials or temperature controls. All you have is a live fire… and tips and tricks that are included with your purchase. You’ll have it up and running successfully in no time! The crew at ilFornino is ready to answer any questions you might have, from how to start the fire to the type of wood to use. They’ll even help you out if you’re struggling with a recipe. The owner and chef-by-passion, Christopher, is self-taught and has mastered wood fired cooking through his own trials and errors. On his last trip to Italy, he had the privilege of studying under a Michelin star chef who has a spectacular restaurant in Naples. No matter what you are trying to cook, ilFornino wood fired pizza ovens will transform it into a masterpiece! Delizioso!